Alissa York’s internationally acclaimed novels include Mercy, Effigy (shortlisted for the Scotiabank Giller Prize) and, most recently, Fauna (shortlisted for the Toronto Book Award). She is also the author of the short fiction collection Any Given Power, from which stories have won the Journey Prize and the Bronwen Wallace Award. Her essays and articles have appeared in such periodicals as The Guardian, The Globe and Mail, Quill & Quire, Eighteen Bridges and Canadian House and Home. York has lived all over Canada and now makes her home in Toronto with her husband, artist Clive Holden. Writers Julie Angus, Kim Thúy and Kathleen Winter read from and discuss their latest works. Ben McNally will host. Kathleen Winter's debut novel, Annabel, was shortlisted for the Orange Prize, the International IMPAC Dublin Literary Award and the three biggest fiction prizes in Canada. It won the Thomas Head Raddall Fiction Award and an Independent Literary Award, and was a 2014 Canada Reads selection. Her first story collection, boYs, also won numerous Canadian awards. At our Biblioasis anniversary event, she presents The Freedom in American Songs, her new story collection about modern loneliness, small-town gay teenagers, catastrophic love, inappropriate laughter and the holiness of ordinary life. At the Festival, Winter presents both the story collection and her first work of non-fiction, Boundless, which was recently shortlisted for the Hilary Weston Writers' Trust Prize for Nonfiction. It is a powerful homage to the ever-evolving and magnetic power of the North. Greg Mortenson , Three Cups of Tea: One Man's Mission to Promote Peace ... One School at a Time. Three Cups of Tea:One Man's Mission to Promote Peace, One School at a Time, by Greg Mortenson and David Oliver Relin. Greg Mortenson, Three Cups of Tea: One Man's Mission to Promote Peace ... One School at a Time. Greg Mortenson signs Three Cups of Tea: One Man's Mission to Promote Peace ... One School at a Time. Greg Mortenson discusses Three Cups of Tea: One Man's Mission to Promote Peace ... One School at a Time. Greg Mortensen, Three Cups of Tea: One Man's Mission to Promote Peace, One School at a Time. River Forest Public Library discusses Three Cups of Tea: One Man's Mission to Promote Peace ... One School at a Time. 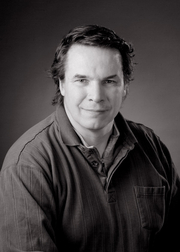 Greg Mortenson is currently considered a "single author." If one or more works are by a distinct, homonymous authors, go ahead and split the author. Greg Mortenson is composed of 6 names. You can examine and separate out names.